Filmy Keeda Productions is a Mumbai based video production company observed to convert brand and organisation directives into a compelling film work. With the overwhelming support of 'Torex' management, a part of Torque Pharmaceuticals Pvt. 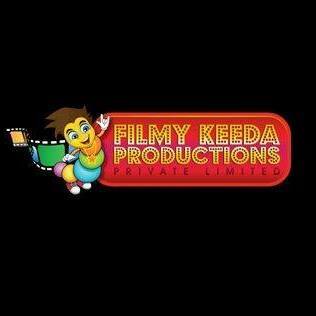 Ltd. Filmy Keeda Productions is enthusiastic about taking tasks from start to end or plugging into any aspect of production as desired for clients of all sizes, especially those in need of the amazing corporate and commercial Ad making, events and film production. Filmy Keeda Productions has successfully carried out campaigns across TV, Print media and Social Media, these include brands like Torex cough syrup, No Scars cream, Ketomac shampoo, Ketomac oil, Foot Guard cream and Jal mineral water. Filmy Keeda Productions have also excelled in Corporate Film Making, Ad Film Making, Short Films, Web Series and Serials. As an imaginative partner, a chief thing of our responsibility is knowing our client's focus and primary needs. Our initial step is to understand our client's organization story to give the best TVCs/ movies, to convince and reach the target audience.